PASADENA, Calif., Feb. 19, 2019 /PRNewswire/ -- The Kaiser Permanente School of Medicine announced today that it has received preliminary accreditation from the Liaison Committee on Medical Education and will begin accepting applications from prospective students in June 2019 for admission to the school's first class in the summer of 2020. In addition, the school announced that it will waive all tuition for the full four years of school for its first five classes. "We've had the opportunity to build a medical school from the ground up and have drawn from evidence-based educational approaches to develop a state-of-the-art school on the forefront of medical education, committed to preparing students to provide outstanding patient care in our nation's complex and evolving health care system," said Mark A. Schuster, MD, PhD, founding dean and CEO of the school. "Our students will learn to critically examine factors that influence their patients' health in their homes, workplaces, schools, and communities – and become effective health advocates for their patients. They will graduate with the knowledge and skills to become visionary leaders in medicine and take on some of the most challenging health issues of our time." The school will provide its students with longitudinal clinical experiences starting at the beginning of their first year in Kaiser Permanente's groundbreaking integrated health care system, one of the nation's highest-performing health care organizations that excels in patient-centered care and population health. The school will use a small-group, case-based medical curriculum in a learning environment that embraces all dimensions of diversity and values students' well-being. The school aims to prepare future physicians to become collaborative, transformative leaders committed to prevention, fluent in data-driven care, and adept at addressing the needs of underserved patients and communities. "Kaiser Permanente is driving to transform health and health care in America, and the School of Medicine will play an important role in this transformation. The school will help shape the future of medical education and train physicians for medical excellence and the total health of their patients," said Bernard J. Tyson, chairman and CEO, Kaiser Foundation Health Plan and Hospitals. "The Kaiser Permanente School of Medicine will also reflect our long-standing commitment to diversity and inclusion by training diverse physicians to serve the needs of society." The school will be based in Pasadena with clinical education taking place primarily in the greater Los Angeles area in Kaiser Permanente hospitals and clinics and in partnered community health centers. Students will gain access to the physicians, clinical teams, data, and technology of Kaiser Permanente, which is known for its integration of comprehensive health services, quality of care, and excellence in diversity and inclusion. "We are thrilled that the Kaiser Permanente School of Medicine has received preliminary accreditation to develop a world-class, 21st-century medical school," said Holly J. Humphrey, MD, Kaiser Permanente School of Medicine board chair and president of the Josiah Macy Jr. Foundation. "We believe that the school will be a catalyst for change in medical education and will provide a remarkable opportunity for the students who are fortunate enough to attend." "Teaching physicians new and collaborative ways to practice medicine is critical to ensuring high-quality care in the future," said Edward M. Ellison, MD, an executive sponsor and board member for the school and executive medical director, Southern California Permanente Medical Group. "We believe that the Kaiser Permanente School of Medicine will train true leaders in medicine, capitalizing on our unique approach to integrated and team-based care." The school has recruited an outstanding, multidisciplinary, and exceptionally diverse group of senior leaders who represent decades of academic and health care experience. Together, they have built a curriculum that fully integrates the school's three academic pillars: Foundational Science, Clinical Science, and Health Systems Science, an emerging discipline that studies care delivery from structural, organizational and interpersonal perspectives, and includes topics such as population health, social inequality, and quality improvement. The core of the curriculum consists of case-based learning, in which students in faculty-facilitated small groups combine knowledge from each of the three pillars and apply it to promoting health, understanding illness, and providing care. Another feature of the school is its focus on the Longitudinal Integrated Clerkship model of clinical education. First-year students will work with primary care preceptors all year, giving them the opportunity to form relationships with patients and clinical mentors over time. Second-year students will continue in their primary care LICs and will also participate in LICs in obstetrics and gynecology, pediatrics, psychiatry, and surgery. Third- and fourth-year clinical education is dedicated to the students' exploration of potential specialties and other areas of interest. The school expects that graduates will enter residency programs in a range of specialties at institutions across the nation. The school's state-of-the-art Medical Education Building, scheduled for completion later this year, has been designed to support the collaborative curriculum and the school's commitment to student well-being. 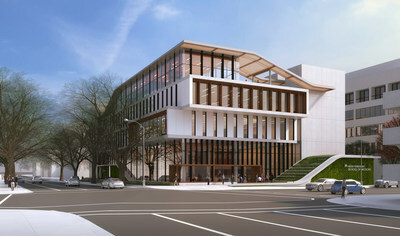 The building will house immersive learning tools such as augmented and virtual reality and ultrasound simulation for studying anatomy in lieu of traditional cadavers, and will have an open rooftop with facilities dedicated to student wellness, including a student lounge, meditation area, and fitness space. Prospective students and others interested in learning more can go to medschool.kp.org for more information. The Kaiser Permanente School of Medicine will offer more than a conventional medical education. It will provide students with the opportunity to be immersed in Kaiser Permanente's groundbreaking integrated health care system, one of the nation's highest-performing health care organizations. Students will have longitudinal clinical experiences in settings that excel in patient-centered care and population health, and participate in a small-group, case-based medical curriculum in a learning environment that embraces all dimensions of diversity and values their well-being. The School's approach will prepare future physicians to become collaborative, transformative leaders in health care and help our nation's communities thrive. Learn more at medschool.kp.org. Kaiser Permanente is committed to shaping the future of health care. We are recognized as one of America's leading health care providers and not-for-profit health plans. Founded in 1945, Kaiser Permanente has a mission to provide high-quality, affordable health care services and to improve the health of our members and the communities we serve. We currently serve more than 12.2 million members in eight states and the District of Columbia, and have 217,000 employees and 22,000 physicians. Care for members and patients is focused on their total health and guided by their personal Permanente Medical Group physicians, specialists and team of caregivers. Our expert and caring medical teams are empowered and supported by industry-leading technology advances and tools for health promotion, disease prevention, state-of-the-art care delivery and world-class chronic disease management. Kaiser Permanente is dedicated to care innovations, clinical research, health education and improving community health. For more information, go to:kp.org/share.